1. Scott DL, Wolfe F, Huizinga TW. Rheumatoid arthritis. Lancet. 2010;376(9746):1094–1108. doi: 10.1016/s0140-6736(10)60826-4. 2. Young A, Koduri G, Batley M, et al. Mortality in rheumatoid arthritis. Increased in the early course of disease, in ischaemic heart disease and in pulmonary fibrosis. Rheumatology (Oxford). 2007;46(2):350–357. doi: 10.1093/rheumatology/kel253. 3. Doran MF, Crowson CS, Pond GR, et al. Frequency of infection in patients with rheumatoid arthritis compared with controls: a population-based study. Arthritis Rheum. 2002;46(9): 2287–2293. doi: 10.1002/art.10524. 4. Smitten AL, Choi HK, Hochberg MC, et al. The risk of hospitalized infection in patients with rheumatoid arthritis. J Rheumatol. 2008;35(3):387–393. doi: 10.1002/art.23112. 5. Franklin J, Lunt M, Bunn D, et al. Risk and predictors of infection leading to hospitalisation in a large primary-care-derived cohort of patients with inflammatory polyarthritis. Ann Rheum Dis. 2007;66(3):308–312. doi: 10.1136/ard.2006.057265. 6. Starkebaum G. Chronic neutropenia associated with autoimmune disease. Semin Hematol. 2002;39(2):121–127. doi: 10.1053/shem.2002.31918. 7. Wagner UG, Koetz K, Weyand CM, Goronzy JJ. Perturbation of the T cell repertoire in rheumatoid arthritis. Proc Natl Acad Sci U S A. 1998;95(24):14447–14452. doi: 10.1073/pnas.95.24.14447. 8. Koetz K, Bryl E, Spickschen K, et al. T cell homeostasis in patients with rheumatoid arthritis. Proc Natl Acad Sci U S A. 2000;97(16):9203–9208. doi: 10.1073/pnas.97.16.9203. 9. Elkayam O, Caspi D, Reitblatt T, et al. The effect of tumor necrosis factor blockade on the response to pneumococcal vaccination in patients with rheumatoid arthritis and ankylosing spondylitis. Semin Arthritis Rheum. 2004;33(4):283–288. doi: 10.1053/j.semarthrit.2003.10.003. 10. Ruderman EM. Overview of safety of non-biologic and biologic DMARDs. Rheumatology (Oxford). 2012;51 Suppl 6:vi37–43. doi: 10.1093/rheumatology/kes283. 11. Dixon WG, Watson K, Lunt M, et al. Rates of serious infection, including site-specific and bacterial intracellular infection, in rheumatoid arthritis patients receiving anti-tumor necrosis factor therapy: results from the British Society for Rheumatology Biologics Register. Arthritis Rheum. 2006;54(8):2368–2376. doi: 10.1002/art.21978. 12. Thomas E, Symmons DP, Brewster DH, et al. National study of cause-specific mortality in rheumatoid arthritis, juvenile chronic arthritis, and other rheumatic conditions: a 20 year followup study. J Rheumatol. 2003;30(5):958–965. 13. Lim WS, Macfarlane JT, Boswell TC, et al. Study of community acquired pneumonia aetiology (SCAPA) in adults admitted to hospital: implications for management guidelines. Thorax. 2001;56(4):296–301. doi: 10.1136/thorax.56.4.296. 14. Bewick T, Sheppard C, Greenwood S, et al. Serotype prevalence in adults hospitalised with pneumococcal non-invasive communityacquired pneumonia. Thorax. 2012;67(6):540– 545. doi: 10.1136/thoraxjnl-2011-201092. 15. O’Brien KL, Wolfson LJ, Watt JP, et al. Burden of disease caused by Streptococcus pneumoniae in children younger than 5 years: global estimates. Lancet. 2009;374(9693):893–902. doi: 10.1016/S0140-6736(09)61204-6. 16. Hausdorff WP, Bryant J, Paradiso PR, Siber GR. Which pneumococcal serogroups cause the most invasive disease: Implications for conjugate vaccine formulation and use, part I. Clin Infect Dis. 2000;30(1):100–121. doi: 10.1086/313608. 17. Desai SP, Turchin A, Szent-Gyorgyi LE, et al. Routinely measuring and reporting pneumococcal vaccination among immunosuppressed rheumatology outpatients: the first step in improving quality. Rheumatology (Oxford). 2011;50(2):366–372. doi: 10.1093/rheumatology/keq297. 18. Gluck T, Muller-Ladner U. Vaccination in patients with chronic rheumatic or autoimmune diseases. Clin Infect Dis. 2008;46(9):1459–1465. doi: 10.1086/587063. 19. Rahier JF, Moutschen M, Van Gompel A, et al. Vaccinations in patients with immune- mediated inflammatory diseases. Rheumatology (Oxford). 2010;49(10):1815–1827. doi: 10.1093/rheumatology/keq183. 20. Cassidy JT, Petty RE, Laxer RM, Lindsley CB. Textbook of pediatric rheumatology. 6th ed. Philadelphia: Saunders Elsevier; 2011. 21. Kapetanovic MC, Saxne T, Sjoholm A, et al. Influence of methotrexate, TNF blockers and prednisolone on antibody responses to pneumococcal polysaccharide vaccine in patients with rheumatoid arthritis. Rheumatology (Oxford). 2006;45(1):106–111. doi: 10.1093/rheumatology/kei193. 22. Nagel J, Geborek P, Saxne T, et al. The risk of pneumococcal infections after immunization with pneumococcal conjugate vaccine compared to non-vaccinated inflammatory arthritis patients. Scand J Rheumatol. 2015;44(4):271–279. doi: 10.3109/03009742.2014.984754. 23. 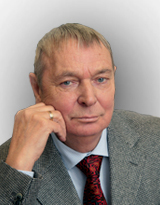 Алексеева Е.И., Солошенко М.А., Дворяковская Т.М., и др. Эффективность и безопасность иммунизации пневмококковой полисахаридной вакциной детей с ювенильным идиопатическим артритом: предварительные результаты проспективного открытого исследования // Вопросы современной педиатрии. — 2017. — Т. 16. — № 2 — С. 142–147. [Alexeeva EI, Soloshenko MA, Dvoryakovskaya TM, et al. Efficacy and safety of immunization with pneumococcal polysaccharide vaccine in children with juvenile idiopathic arthritis: preliminary results of a prospective open-label study. Current pediatrics. 2017;16(2):142–147. (In Russ).] doi: 10.15690/vsp.v16i2.1715. 26. Maglione MA, Das L, Raaen L, et al. Safety of vaccines used for routine immunization of U.S. children: a systematic review. Pediatrics. 2014;134(2):325–337. doi: 10.1542/peds.2014-1079. 27. Heijstek MW, de Bruin LMO, Bijl M, et al. EULAR recommendations for vaccination in paediatric patients with rheumatic diseases. Ann Rheum Dis. 2011;70(10):1704–1712. doi: 10.1136/ard.2011.150193.